Not all sacrifices need be performed by all Brahmins. A number of them are meant to serve one specific purpose or another. For instance, you must have heard of the putrakamesti in the Ramayana, the sacrifice performed to beget a son. Any rite meant to fulfil a wish is "kamya-karma" and it comes under the optional category. Then these are rites that are obligatory on your part to conduct for the good of your Atman as well as of the world. They come under the category of "nitya-karma", but the word "nitya" here does not denote "daily". In the category of nitya-karma there are 21 sacrifices. There is no compulsion with regard to the rest of the 400. But the 21, included in the forty samskaras, must be performed at least once in a life time. As we have seen, these are divided into groups of seven - pakayajnas, haviryajnas and somyajnas. Marriage is conducted with offerings made in the fire, is it not? Aupasana, which must be performed every day, is commenced in this fire and it must be preserved throughout one's life. The seven pakayajnas, rites like upanayana and sraddha must be conducted in the aupasana fire. The son lights his aupasana fire during his marriage from his father's aupasana fire. The son's aupasana fire, like his father's must be maintained throughout his life. Thus, without any break, the sacred fire is kept burning in the family generation after generation. All rites in which the aupasana fire is used and pertain to an individual and his family are "Grhyakarmas". The seven pakayajnas also belong to this category. They are related exclusively to the family and are not very elaborate. Even so they are conductive to the good of the world outside also. Grhyasutras deal with such rites. They belong to the Smritis and are called "Smarta-karmas". The elaborate works that are especially meant for the well-being of mankind are called "Srautakarmas". They are so called because their procedure is directly based on the authority of Sruti or the Vedas. The sastras dealing with them are "Srautasutras". I told you, do you remember, that there was no question of Sruti being superior to Smrti or vice versa? Similarly, the Srautasutras and the Grhyasutras are of equal importance. In the sanatana dharma that goes under the name of Hinduism both are to be cared for like our two eyes. The aupasana fire (lighted at the time of marriage from that of the groom's father) is divided into two in a ceremony called "agniyadhana". One part is called "grhyagni" or "smartagni": it is meant for rites to be performed at home. The second part is srautagni and meant for srauta rites. These two sacred fires must be preserved throughout. Grhyagni is also called aupasanagni since the daily rite of aupasana is performed in it. This is the fire contained in one "kunda" and so it is called "ekagni". Rites conducted in the family are included in the chapter called "Ekagni-kanda" in the Apastamba-sutra. The samskaras and other rites I have so far mentioned are mostly in accordance with this work since the majority of Brahmins in the South are Krsna-Yajurvedins following this sutra. Rigvedins and Samavedins who constitute a minority follow the Asvalayana and Gobhila-sutras respectively. These differences, however, relate only to the rites performed at home. There are no differences in the srauta rites with regard to the different Vedas. Srautagni meant for the srauta rites is in the form of three fires burning in three mounds. So it is called tretagni. The section in the Apastamba-sutra dealing with rites performed in it is called "Tretagni-kanda". One who worships the three Agnis is called a "tretagni" or "srautin" and, if he worships the srauta and grhya fires, he is called an "ahitagnin". One who performs an elaborate sacrifice like a somayajna is called a "yajva", "diksita" or "makhin". And one who conducts the greatest of the somayajnas, vajapeya, is known as a "vajapeyin". Sacrifices are called variously "kratu", "makha", "isti", "stoma", "samsta". There are some difference between these. Ancient Tamil works contain references to "mutti" (tretagni or srautagni). One of the three sacred fires, one of the tretagni, is called "garhapatya" and it belongs to the master of the household. It must be kept burning in the garhapatya mound which is circular in shape. In this no oblations are to be made directly. Fire must be taken from it and tended in another mound for the performance of rites relating to the fathers (this is different from the usual sraddha and is ritual performed to the manes every new moon) and also for certain deities. This mound is in the south, so it is called "daksinagni" and it is semicircular in shape. Offerings to deities are made generally in a third fire in the east called "ahavaniya" and it is also to kindled from the garhapatya fire. In the North any yaga or sacrificial rite is called a "havan", the word being derived from "ahavaniya". The ahavaniya mound is square in shape. Big sacrifices like somayajnas and other meant to propitiate deities are to be conducted in the fire taken from the ahavaniya mound to the yagnasala or the hall where a sacrifice is held. If the agnihotra fire is extinguished for whatever reason, it must be kindled again through a new adhana (agniyadhana) ceremony. The same applies to the aupasana fire. Now in the majority of houses neither the aupasana nor the agnihotra fire burns. I have mentioned here how these fires can be renewed since most of you perhaps must not have kept them after your marriage. As already mentioned, the daksinagni and the ahavaniyagni are made from the garhapatyagni. When srauta rites for the fathers have been performed in the daksinagni and other srauta rites in the ahavaniyagni, the two fires no longer have the exalted name of "srautagni" and are just like any other ordinary fire and they have to be extinguished. Only the garhapatya and aupasana fires are to be kept burning throughout. On every Prathama (first day of the lunar fortnight), a pakayajna and a haviryajna have to be performed in the grhyagni and srautagni respectively. The first is called sthalipaka. "Sthali" is the pot in which rice is cooked and it must be placed on the aupasana fire and the rice called "caru" cooked in it must be offered in the same fire. The rite that is the basis of many others (the archetype or model) is called "prakrti". Those performed after it, but with some changes, are known as "vikrti". For the sarpabali called sravani and the pakayajna called agrahayani, sthalipaka is the prakrti. The haviryajna performed on every Prathama is "darsa-purna-isti", "darsa" meaning the new moon and "purna" the full moon. So the "istis" or sacrifices conducted on the day following the new moon and the full moon (the two Prathamas) are together given the name of darsa-purna-isti. The two rituals are also referred to merely as "isti". This is the prakrti for haviryajnas. For soma sacrifices "agnistoma" is the prakrti, the word "stoma" also meaning a sacrifice. In conjunction with "agni", the "sto" becomes "sto" -- "agnistoma". "Sthapita" becomes "establish" in English: here the " sta" of the first word becomes "sta" in the second. Some unlettered people pronounce "star" and "stamp" as "istar" and "istamp". Such phonetic changes are accepted even in the Vedas. I will now deal briefly with the remaining paka, havir and soma sacrifices. Pakayajnas are minor sacrifices and are performed at home. Even srauta rites like the first four haviryajnas - adhana, agnihotra, darsa-purna-masa and agrayana - are performed at home. The last three haviryajnas - caturmasya, nirudhapasubandha and sautramani - are performed in a yagasala. The yagasala is also known as a "devayajna". The Kalpa-sutras contain a description of it, not omitting minute details. There are altars called "cayanas" to be built with bricks. (There are no cayanas for havir and pakayajnas.) As I said before there is the application of mathematics in all this. Several kinds of ladles are used in making offerings in the fire, "tarvi", "sruk" and "sruva". Their measurements are specified, also the materials out of which they are made. No detail is left out. In a nuclear or space research laboratory even the most insignificant job is carried out with the utmost care, so is the case with sacrifices which have the purpose of bringing forth supernatural powers into the world. To repeat, pakayajnas are simple, "paka" meaning "small", "like a child". Cooked food is also "paka"; that is why the art of cooking is called "pakasastra" and the place where cooking is done is called "pakasala". Just as in sthalipaka cooked rice is offered in the fire, so too in pakayajnas cooked grains are offered in the fire. The watery part is not to be drained off - this rite is called "caruhoma". But in aupasana unbroken rice (not cooked) is offered. In the pakayajna called "astaka" purodasa is offered in the fire. Astaka is performed for the fathers. The bright half of a month (waxing moon) is special to the celestials while it is the dark half (waning moon) for the fathers. The latter is called the "apara-paksa" since during this fortnight rites for the fathers are performed. The eighth day of the dark fortnight (Astami) is particularly important for them. The astaka sraddha must be performed on the eighth day of the fortnight during the Sisira and Hemanta seasons (the first and second half of winter) - in the [Tamil] months of Margazhi, Tai, Masi and Panguni. The astaka performed in Masi is said to be particularly sacred. The rite gone through on the day following the astaka is "anvastaka". 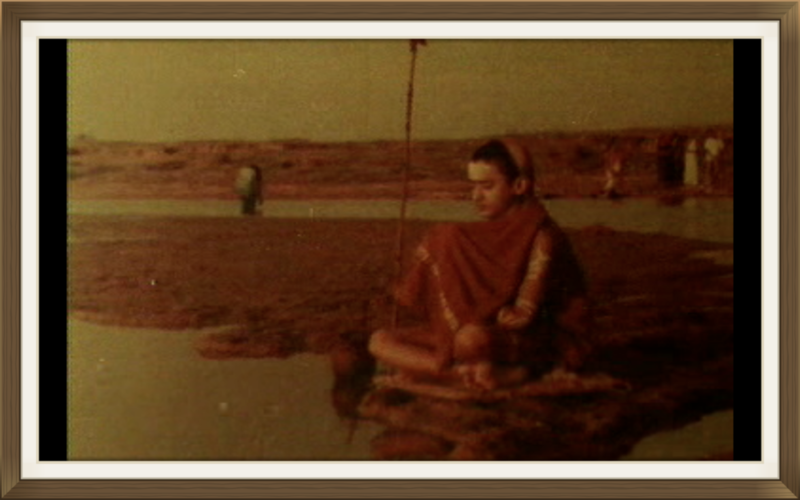 "Parvani", one of the pakayajnas, is the prakrti (or the archetype) for sraddhas. Since it is performed every month it is called "masisraddha". (This is according to the Apastamba-sutra. According to the Gautama-sutra "parvana" denotes the sthalipaka performed during each "parva" ). The pakayajna "sravani" is also called "sarpabali". On the full moon of the month of Sravana caru rice and ghee are placed in the fire and flowers of the flame of the forest are offered similarly by both hands. Designs have to be drawn with rice flour over an anthill or some other place and offerings made to snakes with the chanting of mantras. This ceremony must be held every full-moon night up to Margazhi (mid-December to mid-January). On the Margazhi full moon, apart from completing the sarpabali, the pakayajna called "agrahayani" must be performed. Like "sravani", the name "agrahayani" is also derived from the name of the month of the same name - Agrahayani is Margazhi. "Hayana" means "year" and the first month of the year is "Agrahayana". In ancient times the year started with this month. The first of January [of the Gregorian calendar] falls in mid-Margazhi. It was from us that Europe took this as their new year. Though we changed our calendar later, they stuck to theirs. There are two more pakayajnas called "caitri" and "asvayuji": these fall respectively, as their names suggest, in Cittirai and Aippasi. Caitri is conducted where four roads meet. Since it is performed for Isana it is called "isanabali" : Isana is Paramesvara (Siva). In the other pakayajnas the deities worshipped are different but through them Paramesvara is pleased. It is like a tax paid to the ruler through the sub-collector. In Caitri it is as if the tax is paid directly to the ruler. In Aippasi, kuruva rice is harvested [in Tamil Nadu]. This is first offered to Isvara in the rite called "asvayuji" before it is taken by us. Similarly samba rice is eaten only after agrahayani is performed in Margazhi. The haviryajnas are more elaborate, though not so large in scale as the somayajnas. Anything offered in the sacrificial fire is called "havis". In Tamil works like the Tirukkural it is referred to as "avi". However, ghee is specifically referred to as "havis". Sacrifices in which the soma juice is offered are called somayajnas and those that are not elaborate are categorised as pakayajnas. Now the other srauta sacrifices among the forty samskaras are called haviryajnas. When I spoke to you earlier about sacrifices I referred to the men who conduct them. The sacrificer is the yajamana and those who perform the sacrifice for him are rtviks (priests) who consist of the hota, adhvaryu, udgata and brahma. In pakayajnas there are no rtviks; the householder (as the yajamana) performs the rites with his wife. In haviryajnas there are four rtviks and the yajamana. But the udgata's place is taken by the agnidhra. The udgata is the one who sings the Saman. It is only in somayajnas that there is Samagana, not in haviryajnas. In caturmasya and pasubandha there are more than the usual number of priests. But there is no need to deal with them here. I wanted to give you only a basic knowledge of the important sacrifices that had been conducted for ages until recently. "Agrayana" is performed on the full moon of Aippasi. In this syamaka grains are offered in the fire. Caturmasya gives the impression that it includes a number of sacrifices. Some of you probably know that "caturmasya" is a term that refers to sannyasins staying at the same place during the rainy season. But it is also the name of a haviryajna to be performed by householders once every four months, in Karttigai, Panguni, Adi. From this onwards the sacrifices are to be performed in a yagasala [built in a public place]. The haviryajna called nirudhapasubandha (or simply "pasubandha") is the first yajna in which there is animal sacrifice, "mrgabali". Though I have used the word "bali", technically speaking - or according to the sastras - it is not strictly a bali. "Bali" means that which is offered directly - and not in the fire. What is offered in the fire is ahuti or havis. The floor offered in the anthill for the snakes is sarpabali. In what are called panca-mahayajnas there is a rite called "vaisvadeva": in this offerings are made in the fire or they are thrown inside and outside the house with the chanting of mantras. The latter are meant for various creatures of the earth and are termed as bali. When we make an offering to a deity with mantras we must say "svaha". When it is made to the fathers we must say "svadha". The corresponding word to be said when offerings are made to various creatures is "hanta". Here we have something like the gradation of authority: "your majesty", "your honour", and so on. There are rules to determine which part of the sacrificial animal's body is to be offered in the sacrificial fire. This is not the same as bali. What is offered in the fire is "homa". In pasubandha only one animal is sacrificed. In yajnas involving animals there is a yupa-stambha or sacrificial post of bamboo or khadira to which the animal is tethered. In the last haviryajna called "sautramani" sura (liquor or wine) is offered to appease certain inferior powers or deities for the welfare of the world. Our government, which otherwise strictly enforces prohibition, relaxes the rules to entertain foreigners with drink, considering the gains to be had from them. The oblation of liquor in sautramani is to be justified on the same grounds. It is never offered in the sacrifices meant for higher deities. What is left over of the liquor - what is purified by mantras - is imbibed by the performers of the sacrifice, the quantity taken in being less than a quarter of an ounce. To say that Brahmins drank the soma juice and sura to their heart's content on the pretext of performing sacrifices is an outrageous charge. I have already spoken about the falsehood spread about the partaking of the meat left over from a sacrifice. I will now deal briefly with somayajnas or somasamstas. What is a samsta? The conclusion of the Samavedic hymns chanted by the udgata is called samsta. Compositions recited in praise of deities are generally known as stotras. But in the Vedic tradition the Rgvedic hymns are "sastras". In the Samaveda such hymns which suggest the seven notes or saptasvara are called stotras. In soma sacrifices it is this, singing of the stotras of the Samaveda, that is the major feature. Homa (placing oblations in the fire) is the dominant feature of paka and haviryajnas while in somayajna it is the singing of stotras. The name somayaga is derived from the fact that the essence of the soma plant, so much relished by the celestials, is made as an oblation. Apart from this, animals are also sacrificed. Even so the singing of the Saman creates a mood of ecstasy. When a musician elaborates a raga and touches the fifth svara of the higher octave the listeners are transported to the heights of joy. So in the singing of stotras of the Samaveda during the samsta all those assembled for the sacrifice feel as if heaven were upon earth. This is one reason why somayajna is also known as "somasamsta". In such soma sacrifices there is the full complement of priests - the hota, the adhvaryu, the udgata and the brahma. Each priest is assisted by three others. So in all there are sixteen priests in a soma sacrifice. Agnistoma which is the first of the seven somayajnas is the prakrti (archetype) and the other six are its vikrti. These six are: atyagnistoma, uktya, sodasi, vajapeya, atiratra and aptoryama. Vajapeya is regarded as particularly important. When its yajamana (sacrificer) comes after having had his ritual bath (avabhrtha snana) at the conclusion of the sacrifice, the king himself holds up a white umbrella for him. "Vaja" means rice (food) and "peya" means a drink. As the name suggests, the vajapeya sacrifice brings in a bountiful crop and plentiful water. The name is appropriate in another sense also. This sacrifice consists of soma-rasa homa, pasu-homa (23 animals) and anna - or vaja-homa. The sacrificer is "bathed" in the rice that is left over. Since the rice is "poured over" him like water the term "vajapeya" is apt. In the old days a Brahmin used all his wealth in performing the soma sacrifice. Much of this was spent in daksina to the priests and the rest for materials used in the sacrifice. Now people are concerned only with their wealth and do not perform even sandhyavandana which does not cost them anything. Among Namputiris, until some forty or fifty years ago, at least one family out of ten performed the somayajna. Since only the eldest member of the family could conduct the sacrifice he alone had the right to property. There was also a time when even poor Brahmins performed this sacrifice every spring ("vasante vasante ") by begging. A Brahmin who conducted the sacrifice every year was thus called "prati-vasanta-somayajin". The Vedas will flourish in the world if at least the somayajna called agnistoma or jyotistoma is performed.